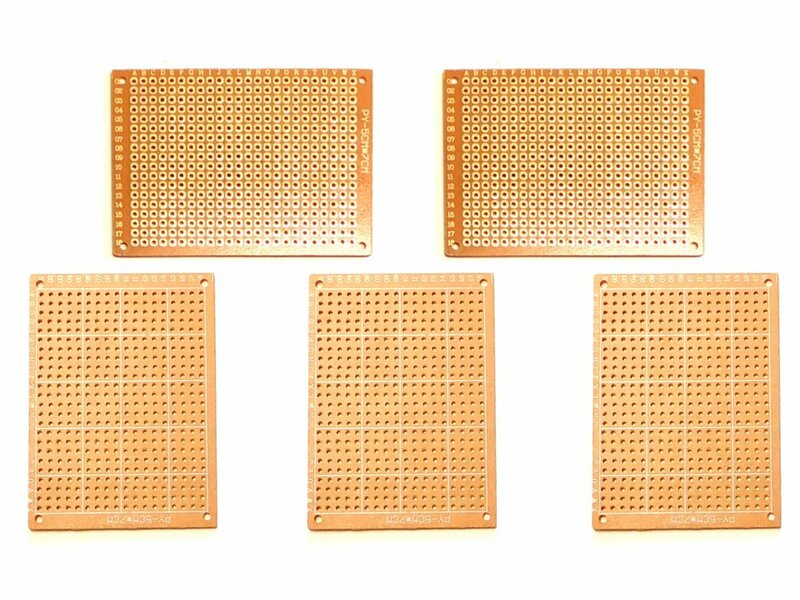 5 pcs 50x70 mm Prototyping Perfboard, the perfect cheap boards for your 1st solder experience or for cheap and easy prototypes or circuits development. 18 x 24 tie points per board. Single sided copper.